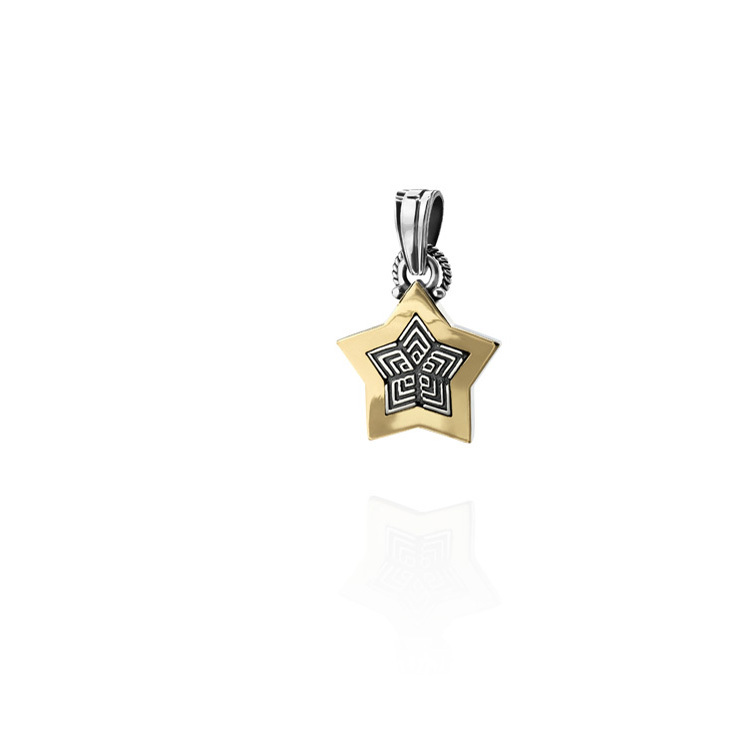 This heavenly Star Charm in 18kt Gold and Sterling Silver carries an emblem of divine love, universal truth and wisdom. All charms can be worn on a necklace, bracelet or, added to an elegant pair of hoop earrings. Sold as a single item or can be purchased with matching ‘Happiness’ Charm Bracelet.